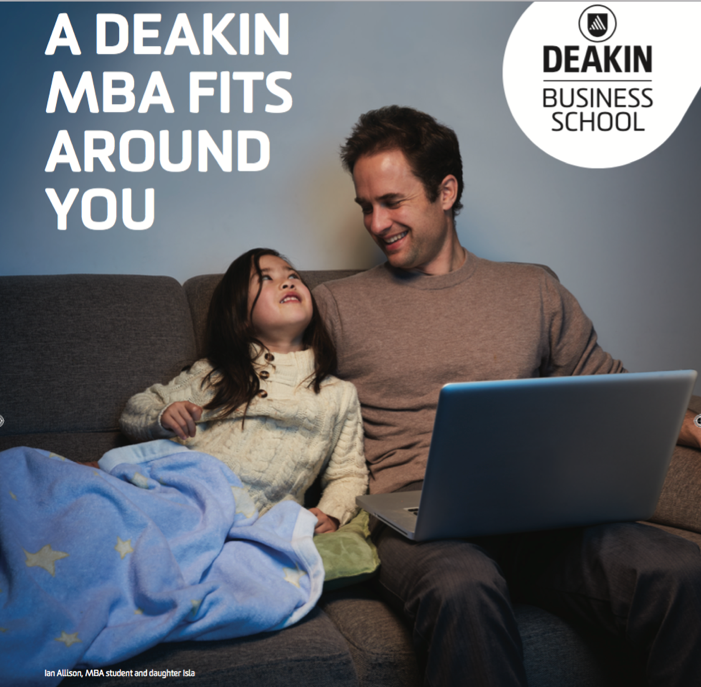 As a member of the board of the Deakin MBA, it has been exciting to analyse the MBA world and Deakin’s part in it. 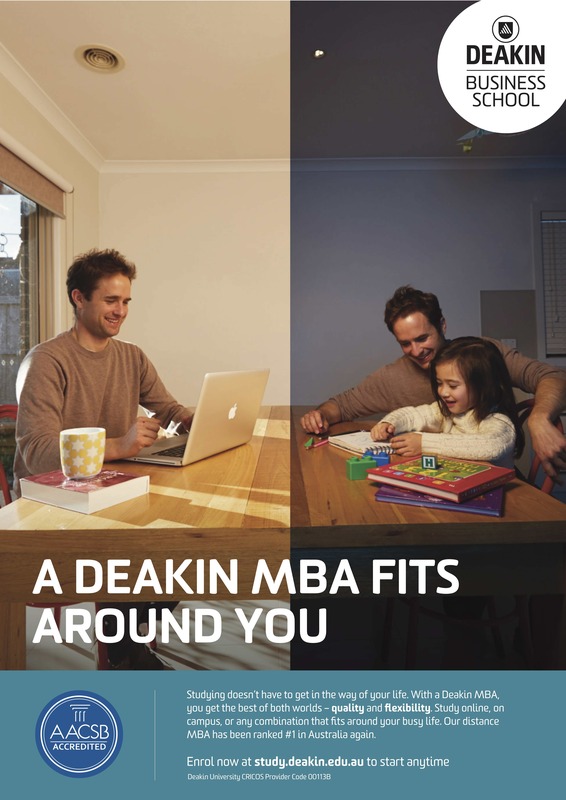 So we came up with an ad creative that Deakin has used. The brief was to craft the message to appeal to older students looking to further their studying whilst achieving a balance between work and home commitments. THE CHALLENGE – How do you stand out? The MBA space is a claustrophobic space. Especially for the person who has yet to fully investigate the type of MBA they are after. 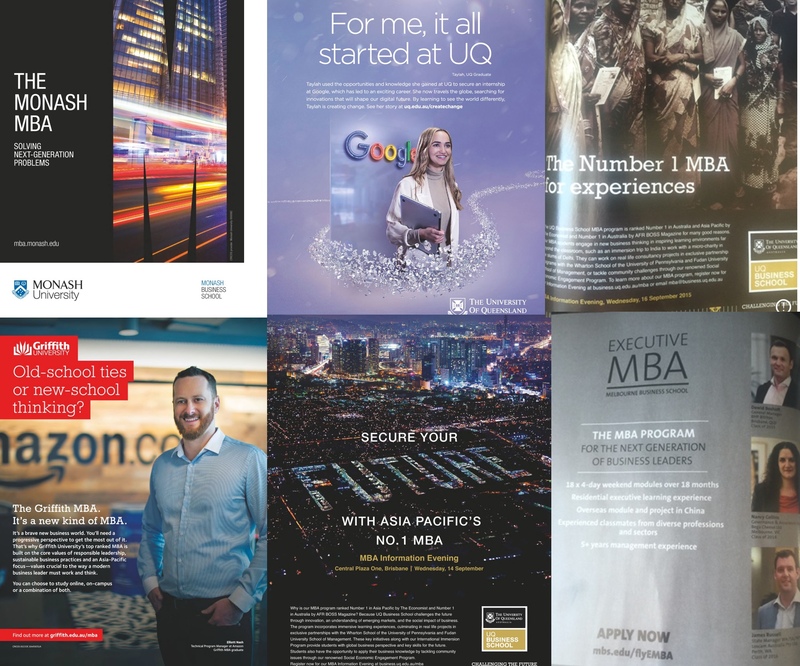 Just browse a Qantas or Virgin in-flight magazine to get an idea of the type and quantity of MBA ads that are being produced. So how do you stand out when you have a product that is truly different to the others – the flexibility of online courses but with the prestige of a traditional MBA. So how do you tell people that an MBA is flexible but still Prestigious? How do you engender trust? Well you think deeply about your target market, understand them, understand their passions, desires, dreams and the also the reality of their own lives. We considered the hard working, middle management, male, executive, with a family, studying at night, and working in the day. The aspiration that most MBA ads work on is the end product; that people see themselves as C-Suites and killing it in the business world – a huge success in a suit. But the reality of a person seeking a flexible option is that they need an MBA that fits in with their entire life. They want it all; the job, study, success and family. So we developed a creative concept around the way these ambitious middle mangers see their life; studying and balancing family. 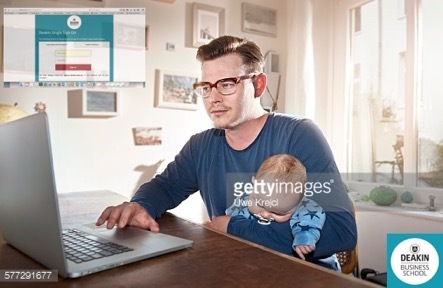 We came up with the following images infusing technology into the story. 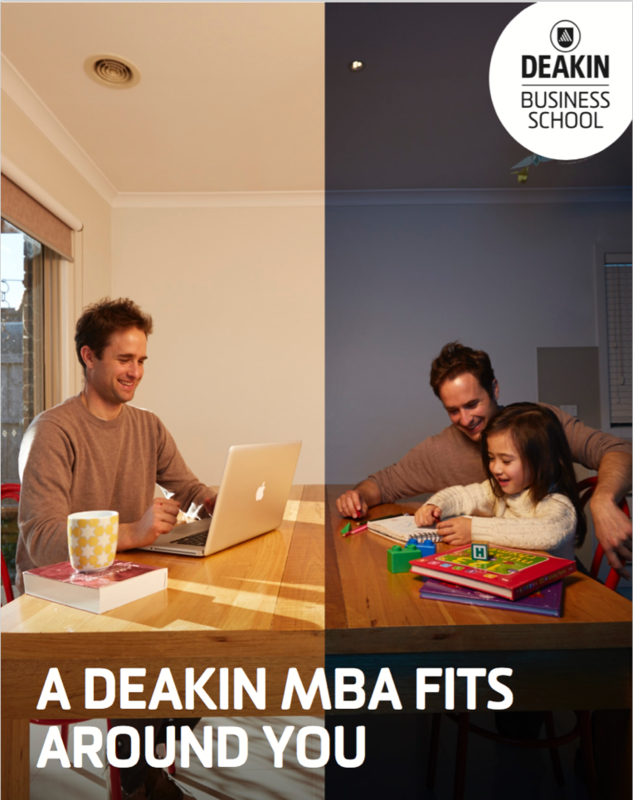 Deakin Uni took the images and turned them into a great ad with a real MBA alumni. If you’ve read this far down we are hoping that you have made the connection that if our work is good enough for Deakin, its good enough for your organisation too. Give us a call today to see what we can do for your marketing.